hello how many handtowels are in this pack for £28? This box contains 6072 hand towels for £28. The box is packed with 24 bundles of 253 towels. Ensure the high levels of hand hygiene are always maintained in your business with our Z Fold Paper Hand Towels. Each one has been interleaved to offer maximum hygiene and to allow a single tissue to be removed at any given time. 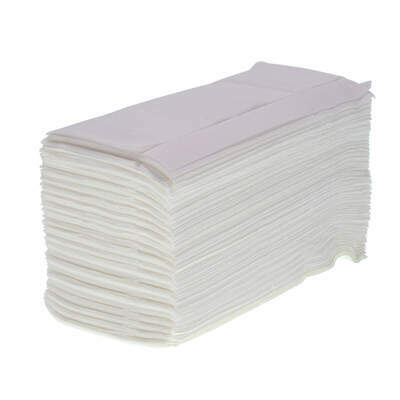 They have a high level of absorbency and are strong, even when saturated with moisture. These tissues are suitable for use when drying hands, cleaning up small spillages and wiping tables with their recycled design. By opting for hand towels instead of hand dryers, your business will effectively reduce your electricity costs and help it to become greener. Here at Gompels, we have a range of drying option including our Weclean Cloths. They also fit perfectly inside our Z Fold Dispenser for a professional and organised business option.